Nursery Guide is the most comprehensive wholesale buyers’ guide in the industry. Find thousands of plant species and cultivars, and hundreds of services and supplies for the horticulture industry. NurseryGuide.com is a resource for growers and buyers of wholesale plants and industry services and supplies. Rebuilt from the ground up to help you find the plant material you're missing. Hundreds of new plants added each year. Fresh features bring plant buyers and sellers together. Join In and Connect: Become a registered site user to rate plants, add comments and start a conversation or seek advice. 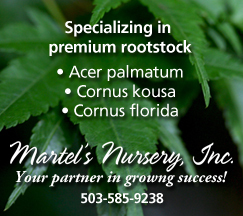 Home Gardeners: Looking for Retail Nurseries, Garden Centers, or Landscapers? Visit plantsomethingoregon.com. Farwest Show: Meet the Growers at the largest industry show in the West. Discover new plant varieties, products, equipment and services. Network with thousands of top industry professionals in the heart of nursery country. 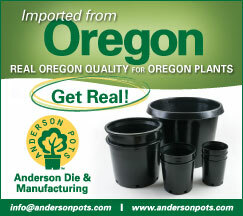 Oregon is ideally situated for providing exceptional plants with exceptional value. Our hundreds of nurseries are in close proximity so it is easy to stop by for a visit and to put together a load. Companies update their information throughout the year, to provide their current availability.